﻿ Guangzhou Boyi Hotel (China) | FROM $37 - SAVE ON AGODA! "The room was clean, and big enough for single traveler." 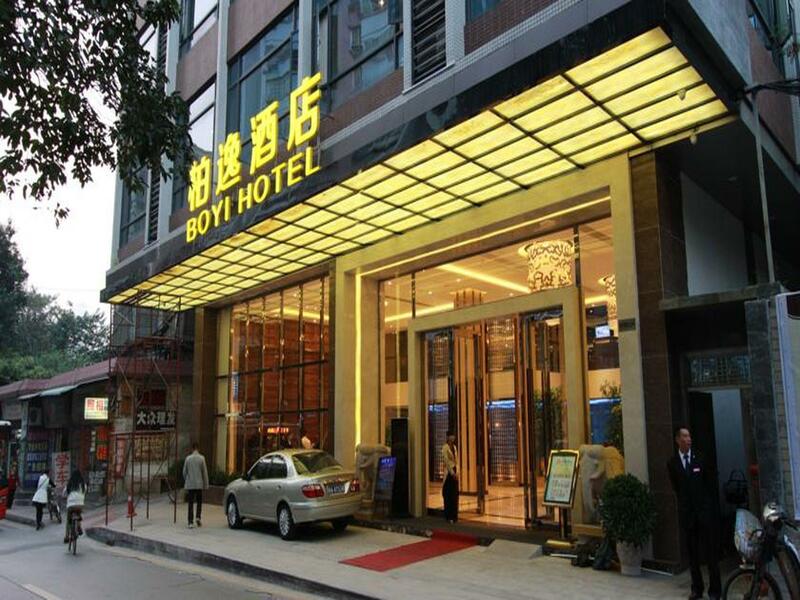 Have a question for Guangzhou Boyi Hotel? "THE ROOM IS CLEAN AND THE STAFF VERY POLITE"
"The room is big and comfortable." 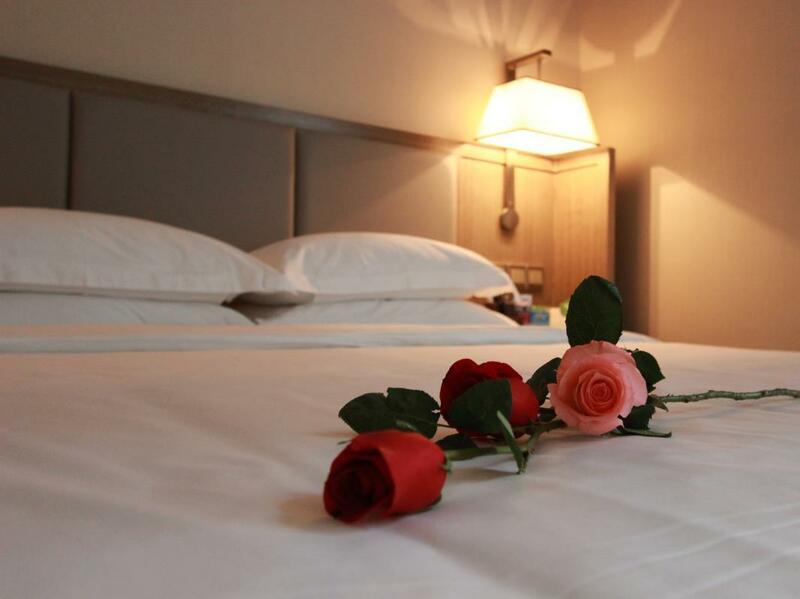 "It's a nice and very clean hotel, the staff are kind and hel..."
Visit the Guangzhou Boyi Hotel and experience all that Guangdong has to offer. Rated 4 stars, this hotel is perfect for experiencing a truly great getaway. 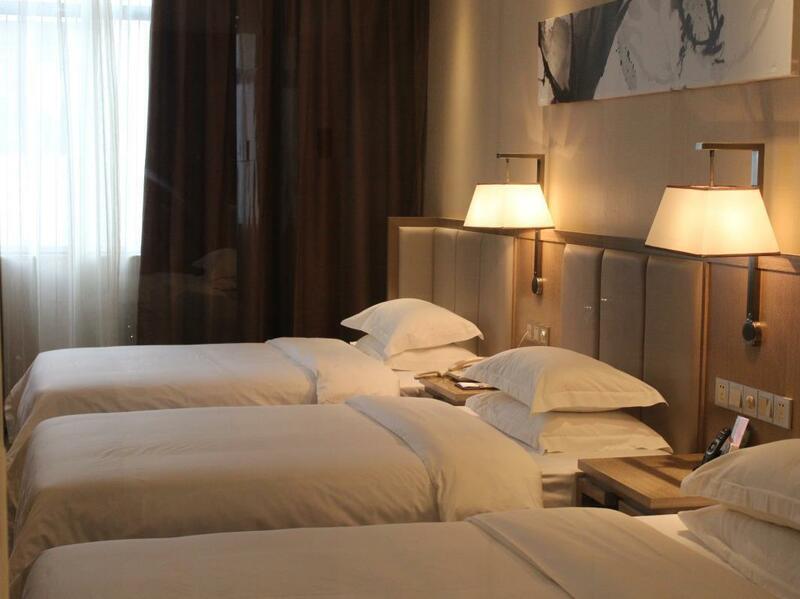 The rooms here overlook the city, giving you a glimpse of the bustling city streets. The hotel is close to Yuancun Subway Station, YuanCun XinCun ShangYeJie, SanHe ShangYeJie, YuanCun ShangYe BuXingJie, and Tancun Subway Station. 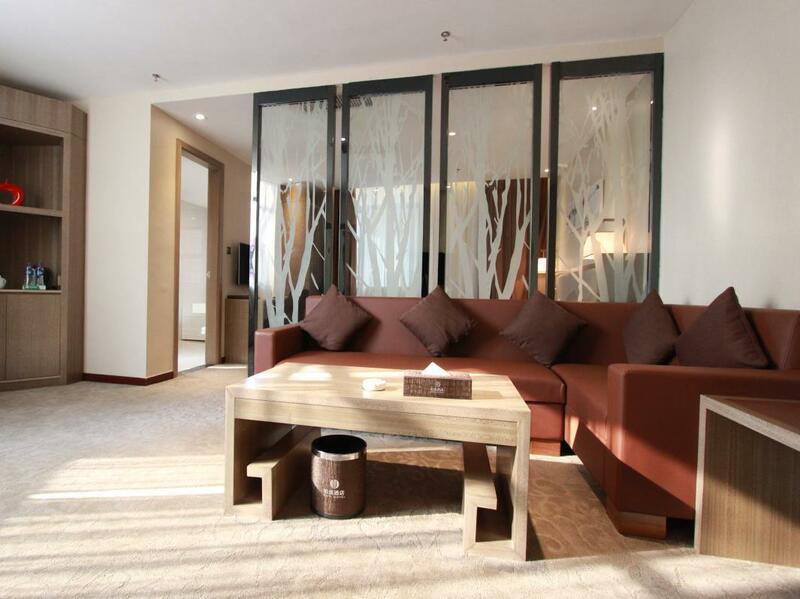 The Guangzhou Boyi Hotel features a bar, restaurants on the property, a coffee shop, and room service, so there is a range of dining and snacking options. This hotel features a spa and ticket services among other fantastic facilities. It has several convenient features, such as a salon, shops, a currency exchange, a smoking area, and safety deposit boxes. Offering guided tours, it is a great place to stay to learn about your surroundings and see everything you can during your stay. It is equipped with air conditioning, so you will have everything you want to make your time here more comfortable. 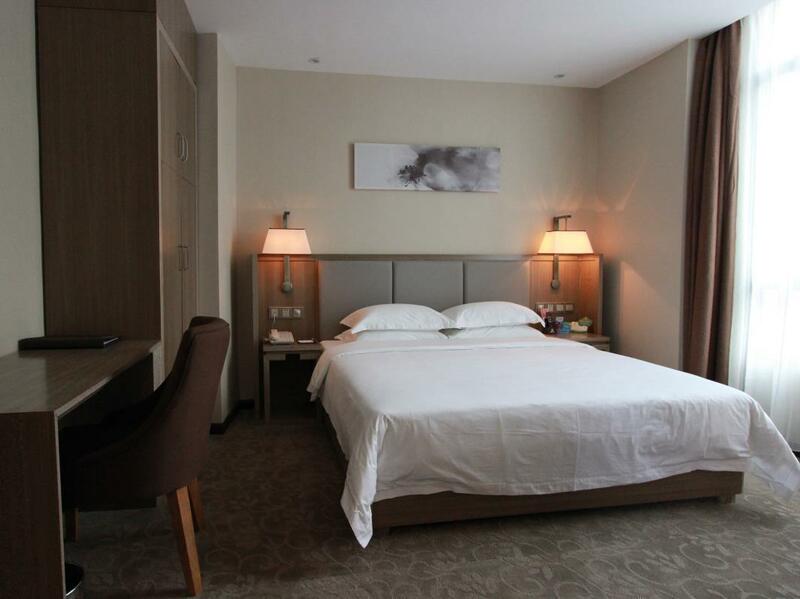 Featuring family rooms, the Guangzhou Boyi Hotel has ample space for your whole family to have a good time together. There's free Wi-Fi available in all rooms, as well as Wi-Fi in common areas, ensuring that visitors are able to stay in contact with their friends and family back home without overspending on foreign data charges. 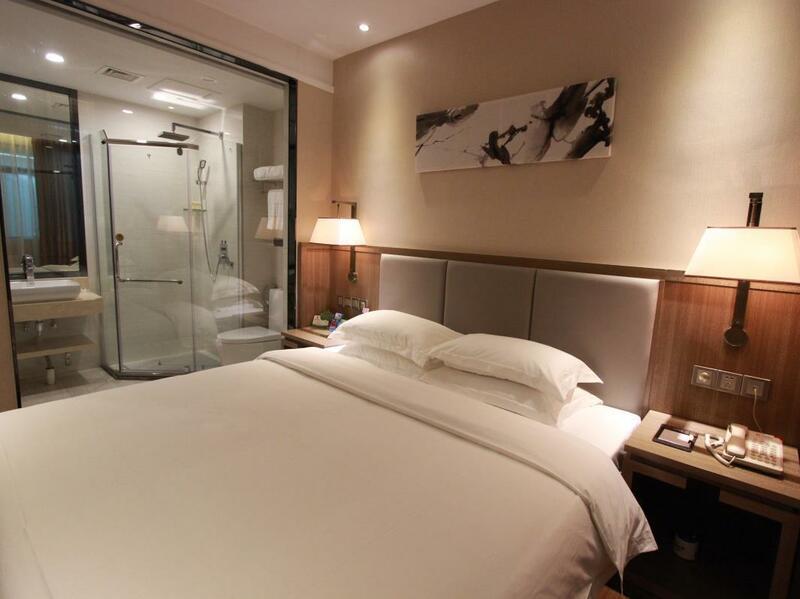 From dry cleaning services to luggage storage, the Guangzhou Boyi Hotel provides various useful services that guests can take advantage of throughout their stay. The front desk is open around the clock, so there will always be someone on call to help you. Check-in is offered from 02:00 PM and check-out is until 12:00 AM. This Guangdong hotel offers an express check in and check out service, enabling you to avoid waiting in long queues when getting ready to catch a train or plane home. It has a range of transport options that include airport transfers, car rentals, and shuttle services. Yuancun Subway Station is 730 m away and Tancun Subway Station is 1.2 km away. The nearest airports are Guangzhou Baiyun International Airport (CAN) and Shenzhen Bao'an International Airport (SZX), which are 30.5 km and 70.5 km away. 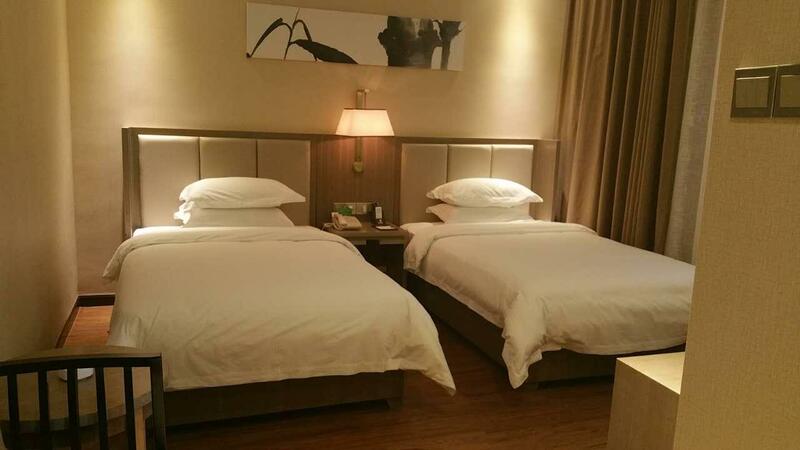 "Guangzhou Boyi Hotel provided an excellent and clean room wi..."
I've been in 9 different countries and I really satisfied with this hotel in Guangzhou, China. 1. All the staffs i met (Receptionist, Hotel translator, Guard) are very friendly, polite and nice. The Hotel Translator is Ms. Becky, a very nice girl. I hope you can see this review Becky. 2. The location is 1 km far from nearest subway/metro station, 6 km far from canton tower, 18km from Baima market, 40km far from airport. So i had to spend a lot for taxi, but anyway Guangzhou is very big so it is ok for me. They are many small restaurants, groceries store nearby. Especially i met a man from France, we can share a taxi from Hotel to Guangzhou South Railway station (on the way to Shenzhen) 3. I paid about 195 usd for 1 room, 3 nights, with breakfasts and i think that price is ok to compare with quality Next time, when i go Guangzhou, I think I will continue to book this hotel. Thank you. 1. Location. About 15 minutes walk to Yuancun station. A lot of good eateries, banks for money exchange, groceries nearby. 2. Staff. Great! Very accomodating. They have 1 english speaking staff. But after midnight, the receptionist on duty uses a celfone app translator. 3. Food. Breakfast buffet is good but the same menu everyday. But its still good since they have meat bread salads fruits deserts unli coffee/juice. 4. Room. Is great! Relatively spacious with cabinets. Bathroom shower, i love it! High water pressure though the bathroom shower space is a bit small. Con. Just 1. Another guest told us the place is haunted. They said they changed room 3x but still hears the chair squeaking in the wee hrs..gave me and my husband a nightmare on our last night. Had good free shuttle schedule to Canton Fair and back. 815am, 835am and 905am. Return was 540pm and 605pm. Shuttle bus even had free water bottles and a snack corner was prepared upon return to hotel. Snack corner had fruits, tea, coffee, nuts, biscuits. Return shuttle bus even had free crackers and wet tissue which is a treat after a long walking day in the fair. Breakfast was surprisingly ok in variety- had fried eggs, fried rice, fried noodles, black pepper chicken, sauteed cauliflowers, congee, toasted bread and fruits. Room is exactly as shown in Agoda pics. Paid 110usd per night for a business king deluxe room. Not bad for canton fair period. Ride was indeed just 15mins to the fair! Overall a good value for money hotel for the fair. No complaints. Lobby receptionists were also pleasant during checkin. 位置不太好找，離地鐵站挺遠，公車比較方便，不找好當地地圖app會比較麻煩。 附近的食店很多，也營業到很晚（凌晨兩三點也有燒烤店等等），吃的方面不存在問題。 住的三張單人床房間，床以單人來說是挺大的，房間寬敞，也很清潔。 唯一比較不足的是隔音比較差，睡眠對安靜環境要求高的人會不太適合。 送早餐，中式為主，到十點為止，吃了一頓，選擇不多味道不錯。 If you choose to live in this hostel, you'd better downald more apps. Like map which could use without VPN,and chinese uber app. It's definitely not easy to find the location. By bus>>> By Subway to travel around. The cleanliness is good. The room is big and comfortable. Free breakfast ends at 10am, providing mostly Chinese food. The one and only bad point is you can hear sounds outside the room quite clear. Other than location being slightly out of the way and there being a school nearby. Everything else is perfectly fine. For a fair price you get a Large comfortable room, clean toilet, Friendly staff. Nothing else needed. 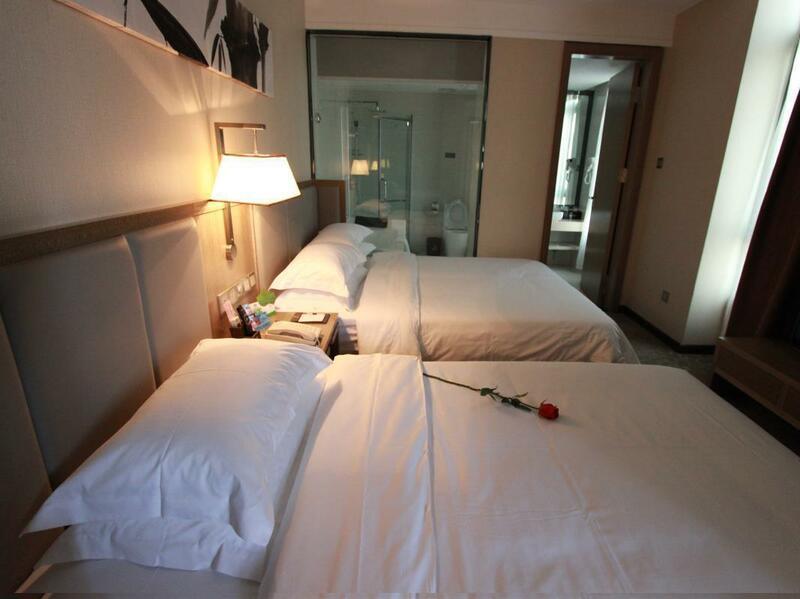 Difference between standard King and Deluxe king bed rooms are standard king is without any windows. Please becareful when you reach the hotel they will ask you to upgrade if u want windows. This hotel has great breakfast, free shuttle to Canton fair, and it's also nice that they have washing machines free of charge. The location is quite secluded but has many small restaurants around. The only bad experience we had was when we asked the front office staff how much we should pay for late check out since we fly out late, they gave us a half day rate which we gladly paid for but called us an hour after to tell us that we should pay for a full night instead. It was their fault but no service recovery has been made. Good thing the interpreters are helpful. 1st time come to Guangzhou with friend just to attend Expo and travel around. During that time Agoda is doing promotion for this hotel and it is definitely worth of money that time. Breakfast is acceptable. Room is clean. Transport you can travel those Uber type car or by bus. It is far from the railway station. If you like to walk, walking nearby there is a lot of those small shop can shopping a bit. Other than that, nothing special. Room is decent in condition & space. Restaurant food is pretty good in taste & at reasonable price. Breakfast almost the same every day. Be careful of the medicine shop across the hotel, make sure you count the money before giving it to the cashier. I was been there only 1 night. It is not near by MRT station but they have shutter bus to Canton fair. I gave fake cash from taxi driver and staff was very helpful to ask police help for me. I didn't went police stataion because they came to hotel. And yes! Police found him and gave me cash back. Good service! Agoda you have to correct this listing, the double rooms have no external windows, much less a "city view" as advertised. The hotel is in an "urban village" and a good 15 min walk to subway station. It's clean enough but the toilet had the smell of pee the first day. The front desk staff and the bell man were very helpful -- that was the saving grace for this hotel. Also it's not four stars as we would understand it. Agoda do you allow Chinese hotels to rate themselves and list them as such? Staffs are courtesy, helpful and warmth. Very worth to accommodate!”点评日期: 2016年10月5日 No doubt on cleanliness, attitude of staffs and strategic location. Very Convenience to find store to eat, convenient store and taking bus. The only prob is smoker travelers, many of them smoke in lobby. But none is stopping those ppl. Luckily my room has no smokes smell at all. Very worth to bring your friends and family along..
Exellenter service, very helpful friendly reception, clean well maintained rooms, good internet connection and the room rate with all service charges and breakfast is more than satisfactory. In future I book there again.